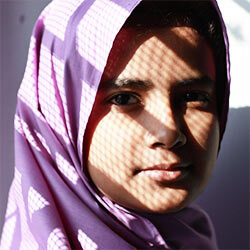 Urge Secretary of State Mike Pompeo to increase advocacy for young Pakistani women's right to safely access education. Teenage Pakistani education advocate Malala Yousufzai once told al-Jazeera TV, "If this new generation is not given pens, they will be given guns by terrorists." On October 10, Yousufzai was shot and critically wounded by Taliban assailants. The attack prompted an international outcry because of her brave exposure of everyday life under Taliban oppression. Her revealing blog and support of children's rights made her a hero to young women seeking empowerment through learning— and an enemy of the Taliban, who strongly oppose education for women. Former U.S. Secretary of State Hillary Clinton said the "attack reminds us of the challenges that girls face, whether it is poverty or marginalization or even violence just for speaking out for their basic rights." Sign the petition: Urge current Secretary of State Mike Pompeo to continue supporting young women's right to actively pursue an education without violence. As you are well-aware, 14-year-old Pakistani education advocate and activist-blogger Malala Yousufzai was wounded in late 2012 by bullets fired from the weapons of militant Taliban assailants. This attack was motivated by religious extremism and has prompted an international outcry among human rights advocates. The Tehreek-e-Taliban Pakistan (TTP) claimed responsibility for the shooting and stated that the incident should serve as a warning to other children who participate in "secular-minded" activities. Yousufzai's tireless bravery in exposing the difficulties of living in the oppressive shadow of the Taliban is something to be applauded, and her desire to document that oppression is a right that should be protected. The harrowing, illuminating BBC blog she started at the age of 11 and her support of children's rights have inspired her peers and raised awareness around the dangerous obstacles these young Pakistani women face. Tragically, the very acts that have made her a positive role model for young women rendered her an enemy of the Taliban, who strongly oppose schooling for women. In addition to possessing a healthy intellectual hunger, Yousafzai wants her generation to distance themselves from the cycle of violence that has plagued her homeland. As she once told al-Jazeera television, "The people of this nation are not terrorists. If this new generation is not given pens, they will be given guns by terrorists." The shooting of Yousufzai is an atrocity on several critical levels. Violent acts against women of all ages in Pakistan are increasing with unsettling regularity, and the use of deadly force against a child is particularly barbaric. On a global, humanitarian scale, the attempt to silence the articulate voice of an ambitious young activist, author, and scholar is an affront to all who value the individual right to access the empowerment an education affords. Former Secretary of State Hillary Clinton publicly and passionately condemned these actions. Please continue to do all you can to speak out against these atrocities and further pressure the Pakistani government to protect and support freedom of education for their nation's next generation of leaders. That's 23,619 signatures! Let's keep the ball rolling.